Fischer’s Baslow Hall is Derbyshire’s only Michelin star restaurant, offering a dining experience unrivalled in personal service, luxurious attention to detail and brilliant, imaginative cooking. Our award-winning Head Chef, Rupert Rowley, joined us in 2002 as a young sous chef. Originally working alongside Max Fischer, he has been in full-charge of the kitchen for the last 15 years. Rupert’s culinary style, rooted in classical French cuisine, constantly evolves, embracing cutting edge techniques and modern ingredients. Ably supported by the young, enthusiastic kitchen crew, his innovative dishes take full advantage of our fantastic, fresh, seasonal Derbyshire and British produce. Many of the vegetables and herbs Rupert uses are grown in Baslow Hall’s lovingly tended kitchen garden. From the moment you enter Fischer’s, you enter another world. Drinks are enjoyed in the charming lounge, with roaring log fire for wintery days, or in our stunning landscaped gardens once the English summer arrives. Our characterful dining rooms are individual decorated, with tables sumptuously set in crisp white linen, traditional silver cutlery and gleaming glassware. The Kitchen Bench offers a more contemporary gourmet experience; a chance to witness a first-class chef and kitchen in action, whilst you enjoy the 10 course tasting menu prepared in front of your eyes. Our wine list, carefully selected by Sommelier and Restaurant Manager, John Cooper, is a triumph. 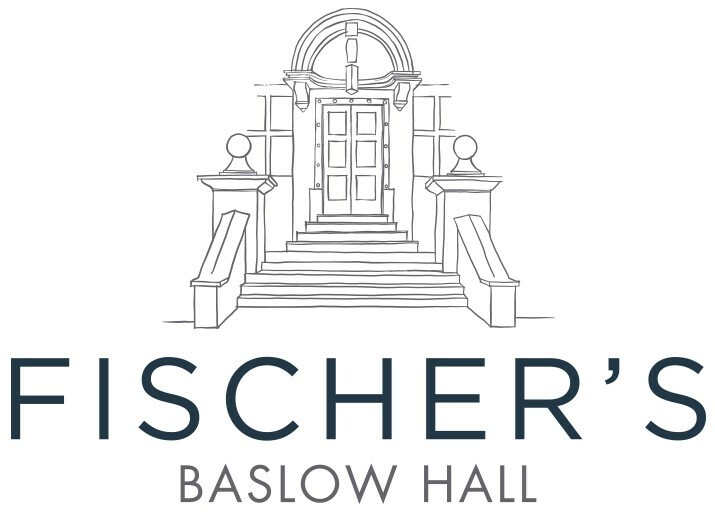 And our staff are a delight; professional, friendly and charming, and we look forward to welcoming you to Fischer’s Baslow Hall. We had a fantastic Kitchen Bench experience. KItchen staff including Head Chef James were brilliant at answering our questions and the tasting menu was fabulous! Excellent service from the rest of the staff too. Lovely food in a relaxed setting. Great value for money lunch. Everything was perfect. From the tasters with opening drinks to the coffees. I had pork starter and beef main and both were wonderful. I appreciated the care and elegance of both courses. Service was of the highest standard. Perfect reception. Perfect atmosphere. Perfect service and the most satisfying meal we have had for a very, very long time. Nothing was too much trouble for the team to ensure complete satisfaction. We took my wife's cousin and his wife for a surprise "Lunch for Less." The meal was sensational and amazing value for money. Every detail was excellent but not pretentious. We will be back. 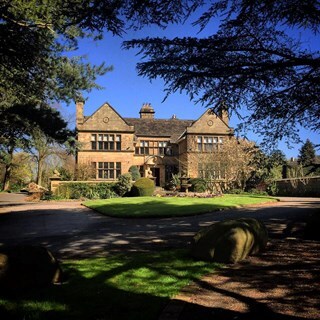 We booked Baslow Hall for a meal to celebrate my Mothers 80th Birthday as a party of eleven. Everyone at the party had a fantastic time. The service of food and wine was excellent. Whilst at first it may appear to be a little pricey it is in fact really good value for money. I have now been on two seperate occasions and both were first class , there will definitely be future visits. The food was lovely and an excellent choice on the menu. It was great to see so much detail in every dish. We went for an 18th birthday lunch taster meal and the food, service and location were all excellent along with staff attention to detail. The rubharb souflle was a real high point of the meal and thoroughly enjoyed by the whole party. Highly recommended. Lovely venue ,attentive staff and beautiful food. A great evening. A superb dining experience for our wedding anniversary. All three courses were expertly cooked and the flavours outstanding. A beautiful day so we had coffee outside and were able to stroll around and enjoy the garden. A great way to celebrate our special day. Thank you. Wonderful staff always a joy to have such an excellent dining experience. We note there is no longer a chef’s surprise preceding the meal or the choice of different breads plus a  reduced petit four platter. All of which are sadly missed. This being our fourth visit and all the standards have been maintained. Fantastic food, we enjoyed a few hours chilling and being looked after, good to treat yourself everyone and again. Had a delicious lunch in a very relaxed atmosphere. Enjoyed by all our party. If I personally was being picky I quite like a choice with one of the dessert items being a more traditional Sunday hot 'pudding'. Excellent as always. My wife & I have always enjoyed coming to Fischers. The restaurant, rooms, food & service is excellent. Very helpful, attentive and personal service. The front of house, restaurant and the staff in the kitchen provide a exclusive service. Would wholeheartedly recommend any of our friends to go to Fischers. An excellent gourmet experience. We are already looking forward to our next visit.